(from Sports Business Journal, September 23-29, 2013) Three rookies from the WNBA have stormed onto the charts becoming the “3 to See”: Elena Delle Donne from The Chicago Sky, Brittney Griner from The Phoenix Mercury, and Skylar Diggins from the Tulsa Shock. These “3 to See” rookies in the WNBA brought in big gains at the gate in their home markets this year. The trio also helped increase the league’s TV and online numbers for 2013. Up 18% from last year’s attendance numbers, The Chicago Sky saw the biggest gain across the regular season while the Phoenix Mercury posted the second highest at 9.5%. Even while posting the lowest per-game average, Tulsa Shock did increase the overall attendance by 5.2%. The deeper gains were found in the numbers at the gates. The league officials found that the gate revenue rose 8%, but they characterize that with the higher ticket prices, variable ticket pricing, and a 25% increase in single-game ticket sales. 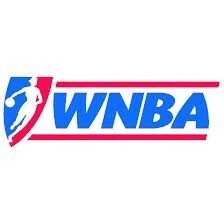 The WNBA President Laurel Richie stated, “No doubt that this year’s draft class generated a ton of excitement, and we have found that the attention has brought new people into the game. Those people may not be all the way in yet, but are checking us out. Those dynamics bode well for the league.” The league is still formulating sponsorship revenue, and they are hopeful for an increase with the addition of Procter & Gamble and State Farm Insurance.